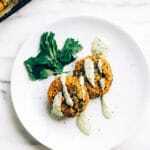 This vegan red lentil buffalo hummus offers a kick of heat and a zippy, vinegary tang that perfectly complements Plant Snacks’ crispy, crunchy cassava root chips. 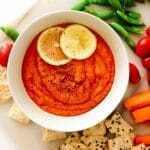 Using a combination of red lentils and white beans means this simple dip is packed with plant-based protein, too! This post is sponsored by Plant Snacks. 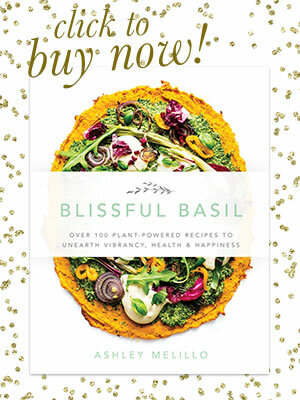 Thank you for supporting the brands that support Blissful Basil. By now, you’ve probably realized I’m a lover of sweet things. But if there’s one thing I love almost as much as dessert, it’s anything with a tangy, spicy bite paired with some crunch. Within the tangy/spicy genre of foods, buffalo sauce ranks high on my list. Truth be told: I’ll slather and shake the stuff on just about anything that’ll accommodate its zippy kick—I’ve even been known to drizzle hot sauce onto my salads. Seriously. Anyone else? 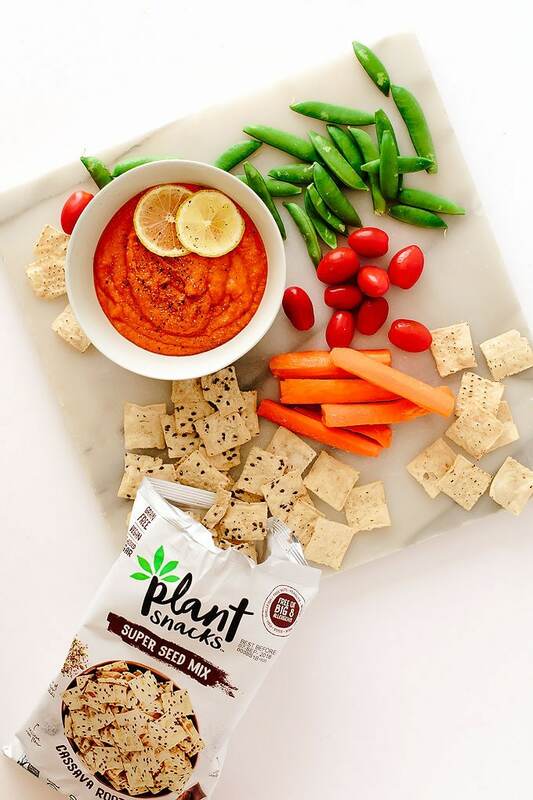 As you might imagine, this red lentil buffalo hummus has quickly taken hold of my taste buds and has become my absolute favorite dip to pair with Plant Snacks’ cassava root chips. 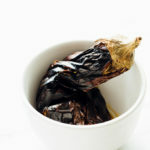 It boasts a vinegary tang and slow-warming, addictive spiciness that will keep you coming back for more. Plus, the addition of split red lentils means this hummus is particularly protein-packed compared to its solely bean-based predecessors. To make it, you’ll start by cooking up split red lentils. No need to be intimidated by this added step to the usual hummus routine. Red lentils cook up in a speedy 10 to 15 minutes, which is time you can spend gathering the other ingredients (and snacking on Plant Snacks). Once the lentils are ready, add them to a food processor along with one can drained and rinsed white beans, chopped roasted red peppers, garlic, lots of hot sauce, tahini, white vinegar, smoked paprika, and a bit of sea salt. Give everything a long and steady process to get the hummus as smooth as possible. 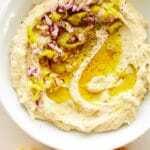 Once the hummus is ready, transfer it to a bowl and serve it alongside plenty of dipping options. Plant Snacks’ cassava root chips. 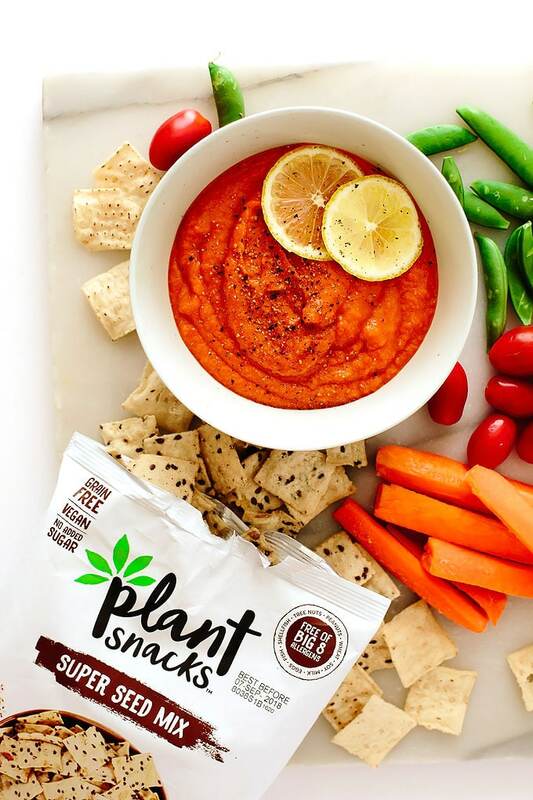 Plant Snacks’ cassava root chips are light and crisp yet sturdy, which makes them perfect for dipping. They’re also vegan, free of the Big 8 Allergens, gluten-free, non-GMO, and free from added sugars, grains, corn, artificial flavors and preservatives. 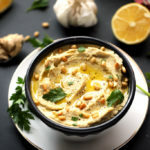 Featured here are Sea Salt and Super Seed Mix—two of their four flavors—which are the ideal canvases for this zesty buffalo hummus. Be sure to keep an eye out for the Vegan Goat Cheese and Vegan Cheddar flavors, too. 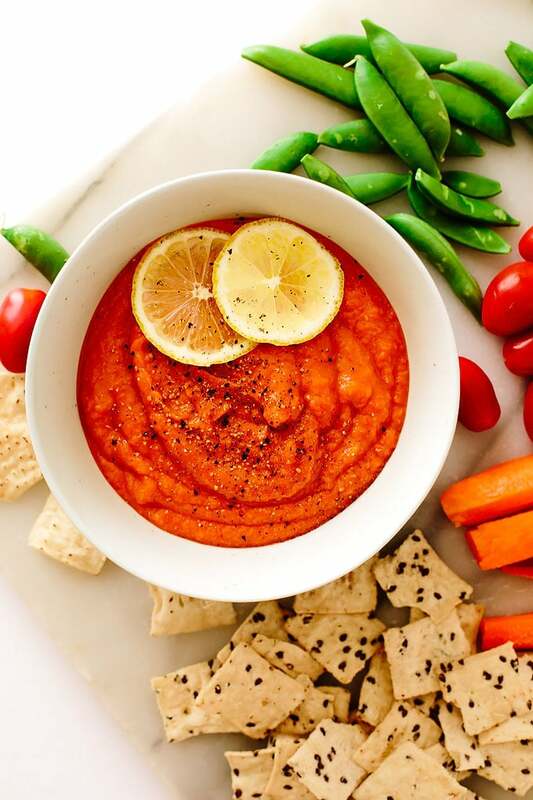 This vegan red lentil buffalo hummus offers a kick of heat and a zippy, vinegary tang. 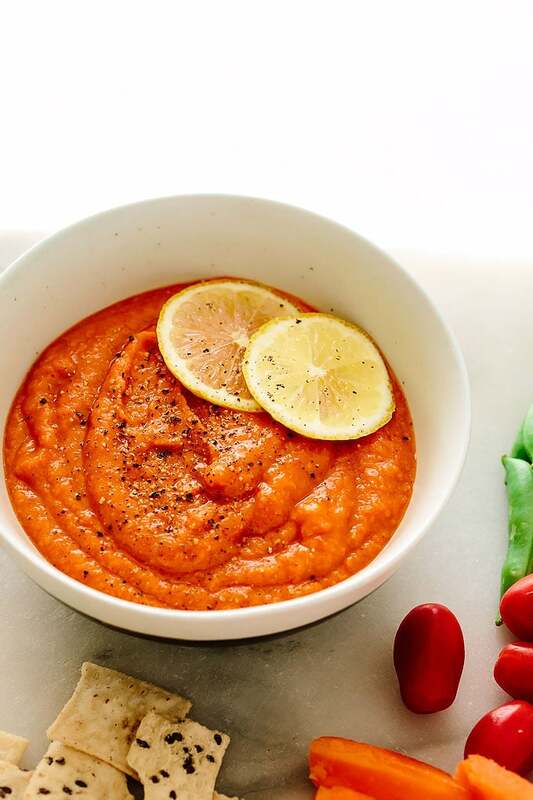 Using a combination of red lentils and white beans means this simple dip is packed with plant-based protein, too! Combine the lentils and water in a medium saucepan over high heat. Bring to a boil, reduce heat, and simmer uncovered for 10 to 15 minutes, or until tender, stirring occasionally. Strain off excess water. Add the lentils, beans, roasted red peppers, garlic, hot sauce, tahini, vinegar, paprika, and sea salt to a food processor and process until smooth, stopping to scrape down the sides as needed. Serve with Plant Snacks Cassava Root Chips and vegetables. 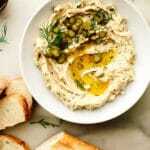 Refrigerate leftover hummus in an airtight container for up to 5 days. 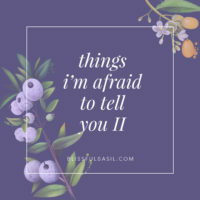 Thanks a lot for keeping the blog updated. 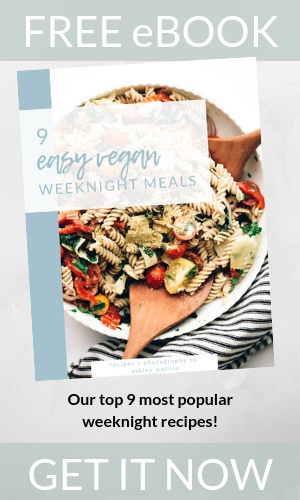 I have just turned vegan and really (almost desperately) need some inspiration, haha. Well thank you! Glad you’re finding a bit of inspiration here. Happy cooking! 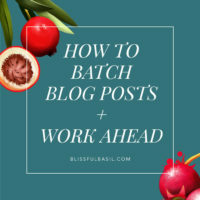 This is an excellent recipe! 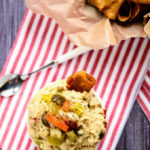 A wonderful variation on hummus. I used 2 T of Trader Joes Jalapeno sauce and we love it. This is going to be my “go to” hummus recipes. So glad you enjoyed it, Marta! Had no idea TJ’s made Jalapeño Sauce—sounds delicious. Thanks for taking time to share your adjustments and rating. 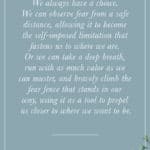 Means so much.